jollysaintj wrote: The placement of noob town is way off. The northeast corner is desert. On that map it's green. Considered making a map just of the west so it's more detailed and awesome? I got myself a world map and screen-shotted the western portion of it. 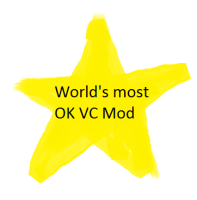 I used paint and drew on some very rough border lines for K.V.K. Hopefully you can do a better job on the bigger map! I've had an idea floating around in my head ( ) about an underground railway between members of the WTC. I hear it's already been done between Swa and Mald and was thinking that this could be replicated. I understand that The Order doesn't particularly like things going beneath their stuff so it could simply go around. I know I'm only assuming the route of the existing Mald - Swa Railway but you guys can update it if you want. Edit: I noticed I messed up the image. Fixed now. 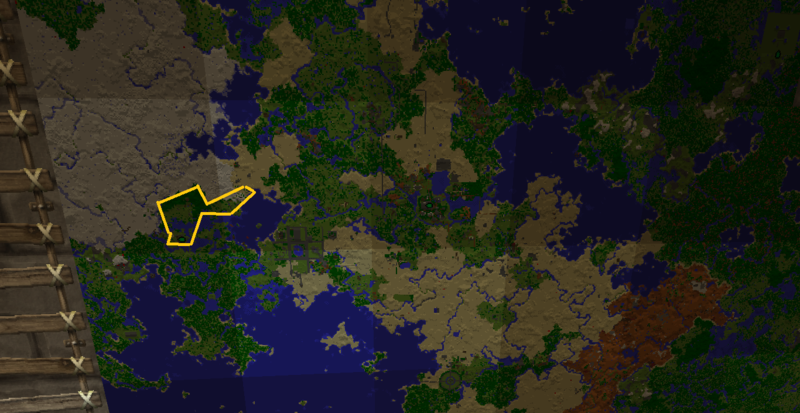 Edit2: Edited the map so it includes more straight lines and a station for Mr_Garrison. Last edited by V2DISCOUNT on Sun Jun 08, 2014 8:21 pm, edited 2 times in total. The Order is just fine with people making a rail system underneath our land--just let us know where and when. Swa and Mald were having problems with THP on underground land issues. MrPalmer wrote: The Order is just fine with people making a rail system underneath our land--just let us know where and when. MrPalmer wrote: The Order is just fine with people making a rail system underneath our land--just let us know where and when. Swa and Mald were having problems with THP on underground land issues. If planned accordingly ahead of time before starting to build we will consider it. We have had plans to do our own just honestly arent ready to start on it yet. Sorry, it was just that when Swa suggested something like this earlier in the year [this] you guys didn't like a tunnel going below Avalon. Just wondering, I see that there is a line toward Mr_garisson, but no station. Would there be a station over there? Boatsink wrote: Just wondering, I see that there is a line toward Mr_garisson, but no station. Would there be a station over there? Sorry, yeah I used an outdated version of the map. Fixed now but with straighter lines and a station at Mr_Garrison. How do you plan on setting up these 3-way and 4-way stations? You should come up with an idea that everyone can use so there arent 15 different kinds of rail stations confusing the hell out of people. Tautochrone wrote: How do you plan on setting up these 3-way and 4-way stations? You should come up with an idea that everyone can use so there arent 15 different kinds of rail stations confusing the hell out of people. I'm in the process of designing a station for these junctions and making a design for the tunnels as a whole. It will be simple but not too simple that it looks shabby. I will try and see what Swa's tunnel to Mald looks like and base it off that. I will post the images of these new designs here or I may create a new topic to make things more convenient. The point at that time, and it still holds, is that if any rail line is going through The Order's underground, it'll have to follow a path (under Avalon and Annwyn) that we'll draw so it doesn't interfere with existing and planned projects. That's all. Other than that we'll be happy to contribute. Noted. I will try to get on either tonight (monday) or tomorrow to talk about where something like this could actually go as the map is simply based upon what (i think) is most likely. 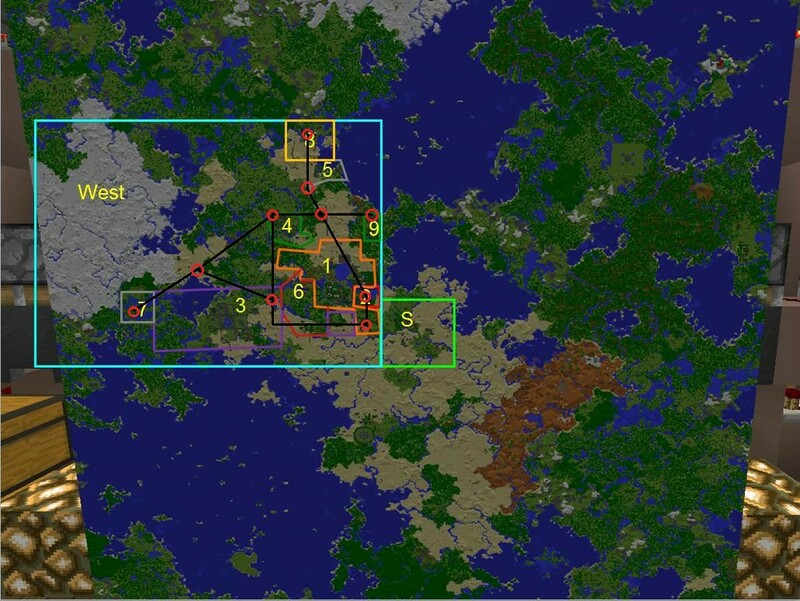 I can easily make changes to the map if need be. Hmmm, maybe we can utilize some of the space in THP's building for that "station just outside of spawn"? We're planning on putting a station there anyways for our "inter-THP system". I'll talk with the other guys about this. I just realised something... Why didn't we call this "Western Trade Federation" or WTF for short?! Never mind, anyway. Is anyone even still interested in this? It's activity has gone down the gutter after about the first month of it coming into fruition. Because Waltco Trade Federation already has that acronym. I still care! My understanding of the WTC was that is it exists to solve common problems and to increase regional efficiency. So far, no one has had any problems to speak of, and we are working towards an underground railway system. You have yet to ask the Order for any material help, but be assured you have our implicit support. "When you've done something right, people won't be sure if you've done anything at all." BTW Hyperion has half of its land inside the west box sooo, would that it possible to join the coalition?